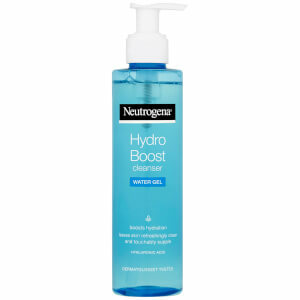 NEUTROGENA® Hydro Boost® Express Hydrating Spray brings advanced facial hydration expertise to body care, for instantly quenched, supple and radiant skin that lasts all day. Ideal for on the go - sprays directly onto wet skin to lock in post-shower moisture and absorbs instantly with a non-greasy feeling so you can get dressed immediately. Spray close to the skin for a moisturizing spritz or further away for a refreshing water mist. Do not spray near eyes or face. Avoid direct inhalation. Use only in well-ventilated area. Aqua, Glycerin, Isopropyl Palmitate, Petrolatum, Dimethicone, Sodium Hyaluronate, Polysorbate 60, Cetearyl Olivate,Sorbitan Olivate, C12-20 Alkyl Glucoside,C14-22 Alcohols, Isohexadecane, Hydroxyethyl Acrylate/Sodium Acryloyldimethyl Taurate Copolymer, Sodium Hydroxide, Tocopherol, Chlorphenesin, Parfum, Benzyl Alcohol. Nice to look at, nice smell, true to word it instantly kept my face feeling nice and dewy all day after a shower. Only downfall would be how the spray comes out of the bottle, it was an unexpected harsh splash, rather than a soft gentle spritz. Had the spray of came out nicer, I would of gave 5 stars. I wasn't expecting much from this moisturiser and half expected it to be like water but actually it smells great, is really quite thick offering great coverage and isn't too heavy on the skin. This product is amazing, my very dry skin is moisturized for a really long time, also smells wonderful and quickly absorbs. It's my new favourite product. 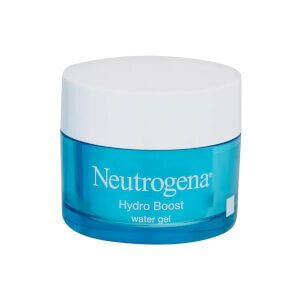 This is the first time that I've tried Neutrogena Hydromist and I'm very impressed. My skin is usually so dull and lifeless but this simple spray has transformed that. I simply spray it on after a shower and it dries instantly into my skin so I can get dressed as normal. No waiting around so very easily integrated into my usual daily routine which is a must as a busy working mum of 4! I will definitely be continuing using it daily as it's made such an improvement to my skin. I received this product around about a week ago now. As soon as it arrived i was very surprised.. i sprayed it onto the back of my hand and i was shocked with how wet and hydrated it actually felt (yes i know its a hydroboost spray) but i have tried many in the past and it was not as wet as this one because it holds its weight in water. I have been using this first thing in the morning before i put my make up on as well as it leaves a tacky layer perfect for making the foundation stick to your face and it has lasting results so i think this is very good for not only hydrating your skin but a facial primer for make up! The only disadvantage this product has is i though the spray would come out more gradual and gently but it comes out like a heavy spray which i would not say it is a pleasant spraying directly onto the face. For that reason i leave around 20cm from my face when spraying. Apart from that it is an amazing product and will defiantly be re-purchasing! 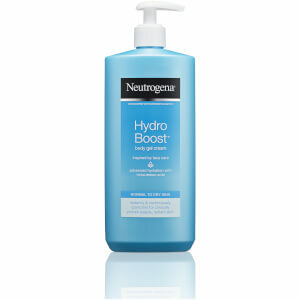 I think Neutrogena HydroBoost it's a very good product and definitely worth to try. It give you very good hydration and skin is soft and smell fabulous for a long period of time. Just use it after shower when your body is towel dry,not on wet skin. I definitely recommend it and will buy it as a balsam for my body. I have been using this spray for a couple of days now after every shower and my skin has honestly never felt so great. It's quick and easy to use. Would definitely recommend for anyone with dry skin, it has also helped with acne which i didn't expect at all. Definitely worth using!